Kratom extract has been making a buzz lately. In today’s legal high review, let talk more about this herbal extract for your reference. What is a Kratom extract? 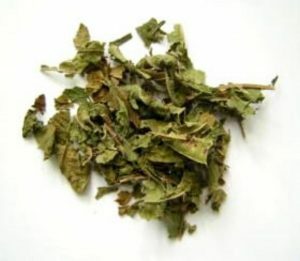 It is derived from concentrated and potent Kratom form. 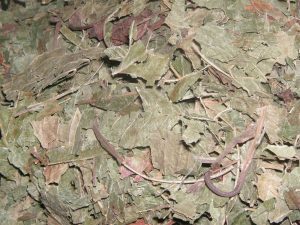 Such extract is produced by brewing the crushed leaves or powdered Kratom. This process is done for a prolonged time period in order to produce a thick paste containing high levels of the active ingredients. When done, the extract can be formulated and made into a resin, tincture, powder or liquid. Why are Kratom extracts made? One of the main goals of extracting Kratom is to create a more refined Kratom product but without losing the main ingredients. Extracts can be used in a small dose but with a powerful effect. These extracts are made by the experts that have years of experience and practice in Kratom extraction. The final product can be a convenient, practical and efficient extract for many people. However, they can also be costly depending on the effects that a person wants to achieve. Some people also try adding it to regular Kratom strains especially when looking to increase desired effects. For some people, they prefer extracts versus other regular formulations. Some sources revealed mixing the extract with a plain leaf for balanced effects. It is considered a good practice in addition to starting low with Kratom. The effects to get from an extract are stronger versus a plain leaf Kratom. A high dose will result to sedation sensations and euphoric effects. In addition, people can experience pain relief, muscle relaxation or better sleep. On the other hand, a low dose can be stimulating and mood enhancing. There is conflicting and contradicting views about the safety of using Kratom extracts. Some of them claimed of the danger to building tolerance and developing side effects from its use. However, such side effects can be prevented with caution and following directions when using Kratom extracts. As a general advice, beginners might want to start with ordinary and non-concentrated forms before using Kratom extracts. They must first try mild strength products to experiment with based on the recommended dosage to get familiar with the effects and their body’s reaction. Once they’re accustomed with the effects of Kratom, they can try Kratom extracts for improved effects. Remember, in all herbal extracts, dosage is an essential aspect to consider when dealing with one. The same goes when using any Kratom strain. You should remember the absence of a set of standards when it comes to the alkaloid content present in Kratom trees. For this reason, it can be daunting to figure out the amount needed for the desired effects. 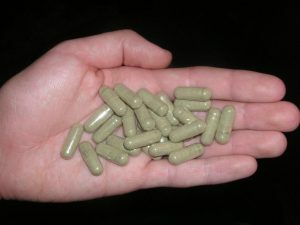 What is Kratom extract grading? Extracts are graded as 5X, 10X, 15X and so on. However, this grading is sometimes misunderstood by people. What they believe is that a product contains 20X the alkaloids or it is 20 times stronger if it is graded 20X. The truth is that this grading is explaining the factor concentration of the extract by volume. It only means there is 20 grams of the regular powdered Kratom that was actually reduced to a gram of the concentrate. Without even saying, it is also more reliable to judge a Kratom extract’s strength based on its strain, not on its grading. For example, it is a misconception to believe that those with higher concentration rates are stronger than with lower concentration rates do. Kratom extracts are convenient and potent forms of Kratom consumption, as chosen by many people because of their high alkaloid content. It also contains other active ingredients, which can offer beneficial effects. However, if you’re looking to try it, you should start with only a small amount of it and gradually increase until you have understood Kratom extract effects on your body.